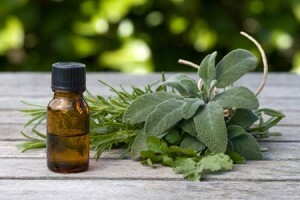 Unlike synthetic oils, essential oils are complex compounds having a diverse effect on the body. 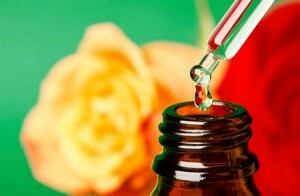 Depending upon the individual oil and or a blend, they are uniquely antiseptic, antimicrobial, and calming to inflamed tissues. Essential oils’ effectiveness can be impaired by the use of personal care products such as underarm deodorants, creams and lotions containing synthetic fragrances and other chemicals. The skin is the most permeable membrane of the body and as such is the gateway to health and vitality of the body. Many chemicals are easily absorbed into the body via the skin; for example, 13% of BHT (butylated hydroxytoluene) is absorbed into the skin where it can become trapped and eventually find its way into the blood stream causing a disruption in the natural workings of the body. Start gradually. Use only one or two single oils or a blend to start, applied twice a day. 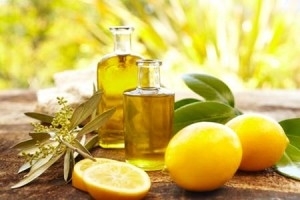 Mix oils with a carrier medium such as a non-scented massage oil base or organic vegetable oil. Carrier mediums provide an efficient means of applying oils while lubricating the skin and reducing the possibility of skin irritation. Always apply diluted essential oils to the bottom of the feet first. This gives the body time to get used to the oil’s benefits and minimizes possible reactions. When mixing oils with a carrier medium, use containers made of glass or earthenware as oils have a tendency to leach out the chemicals in plastic. 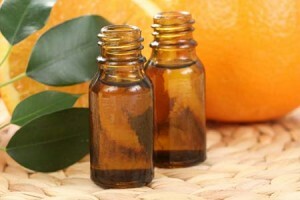 Dilution ratios depending upon strength of essential oil: 1-3 drops of oil to a teaspoon of carrier oil, or 15 – 30 drops of oil to one ounce of carrier medium. To use oils in the bath: add 2 – 3 drops of oil to one cup of Epsom salts or bath gel base and place mixture under running water while tub is filling. Create your own essential oil bath gel by mixing 5 – 15 drops of oil into a _ ounce of unscented natural bath gel base and shower as you would normally. According to research essential oils diffused via a cold air mechanism rather than warm air such as candles and aroma lamps are more effective in reducing bacteria, fungus, mold and unpleasant odors. In addition diffused oils also improve concentration and mental alertness and improve hormonal balances, which contribute to overall wellbeing. Using cold air diffusers also keep essential oils suspended in the air for several hours increasing their therapeutic and antiseptic effects in the home and work place. Essential oils such as peppermint, lemon, and frankincense make great additions to humidifiers or vaporizers. Pregnant women should always consult their physician prior to using essential oils. Never use essential oils on infants and young children prior to five years old without first consulting a physician. Just as you would keep all drugs and medications out of reach of children, you should do the same with all essential oils. People with allergies, high blood pressure, and those prone to epileptic and other types of seizures should consult a physician prior to using any essential oil, especially peppermint, fennel, basil, birch, nutmeg, rosemary, sage, tarragon, hyssop, and Idaho tansy oils. Always keep a bottle of pure, preferably organic vegetable oil on hand as a dilution medium because therapeutic grade, organic oils can be potentially irritating to the skin and oils do not disperse in water. Always store essential oils in a cool dark place and ensure that the lids are tight fitting. When stored correctly, essential oils have a very long shelf life, some even last for years without losing their potency. Some essential oils are flammable when exposed to open flames, sparks, or electricity such as oils in the pine and citrus families, and peppermint. Never use essential oils near the eyes or put directly into ears. Some oils may be damaging to contact lenses, so never touch lenses immediately after using essential oils. Never ingest GRAS (generally regarded as safe) essential oils by themselves. Always use a carrier such as olive oil, honey, soy or rice milk. Never use essential oils directly in bath water. Always use a dispersing medium such as a plain all natural bath gel. Essential oils especially when warm can be immediately absorbed by the skin at a higher than normal rate causing a potential hormonal imbalance. 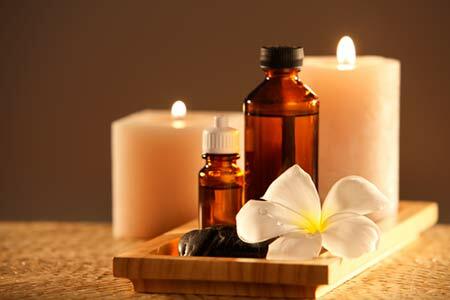 If you have allergies or are susceptible to skin irritation, test a small area of skin with the essential oil first. It is best to always dilute essential oils with a carrier medium prior to using on the skin. Some essential oils are photosensitizing such as citrus oils, angelica, and bergamot and may cause a rash or dark splotches of pigment on the skin when exposed to direct sunlight within 3 or 4 days of use. One of the safest and most effective places to use essential oils is the bottom of the feet. When using essential oils start gradually and find out what is best for you. Some essential oils can react to the chemicals found in your body lotion, make-up, deodorant, household cleaning agents and preservatives in food. Therefore, always drink plenty of water when using essential oils. If you experience headaches, nausea or other symptoms of discomfort, it may be due to a natural detoxification process and you should discontinue use of the oil immediately and pursue an internal cleansing program under the supervision of a physician. If essential oils get in your eyes or irritate the skin, FLUSH immediately with VEGETABLE OIL not water. Water only spreads the irritation as essential oils are oil soluble not water soluble. If an infant or young child swallows an essential oil, immediately give a quality vegetable oil such as olive oil, or a mixture of milk, cream, yogurt or other safe, oil soluble liquid and call your local Poison Control Center if necessary. Some adults may also react to ingested oils as well. Follow the same procedures as you would with infants and children. Dishwashing soap —(hand or dishwasher) to enhance antiseptic and purifying action. Wall paint — Adding 5 ml to a gallon of paint and mixing well helps diffuse the paint smell and won’t leave an oily residue. Hardwood floor cleaners — Mix 1 cup of white vinegar to bucket of water. Add 5-10 drops of either lemon, orange, pine, spruce, or melaleuca and wash as usual. If necessary, add several drops of dishwashing liquid if the floor is especially dirty. Carpet fresheners — Add 16-20 drops to one cup of baking soda or borax powder. Mix well, cover and let set overnight to allow oil to be absorbed. Sprinkle over carpet and vacuum as usual. Sachets and moth repellants — Add several drops of citronella, lavender, lemongrass, Canadian red cedar, or rosemary to cotton balls and tie them in a square of cotton. Place sachets in closets and drawers to repel moths and or keep clothing refreshed. Ant repellant — Peppermint around doors and windows can keep the ants away. Dust mites, fleas, ticks, spiders and other small critters — lavender, lemon, peppermint, lemongrass, cypress, eucalyptus globules, cinnamon, thyme, basil and citronella – can keep these critters away. The content posted on BodyEnergies LLC website or provided by links to this website is for educational purposes only. It is provided as a source of information regarding health and life style issues and is not a substitute for medical advice, medical treatment or medication. Persons reading this content should always discuss any information contained herein with their physician or other qualified healthcare provider prior to making any decisions regarding current courses of medical treatment.